For the first time, the Milano Linate Airport will be the host of the Italian house’s SS’19 men and women’s collection, and rightfully so. 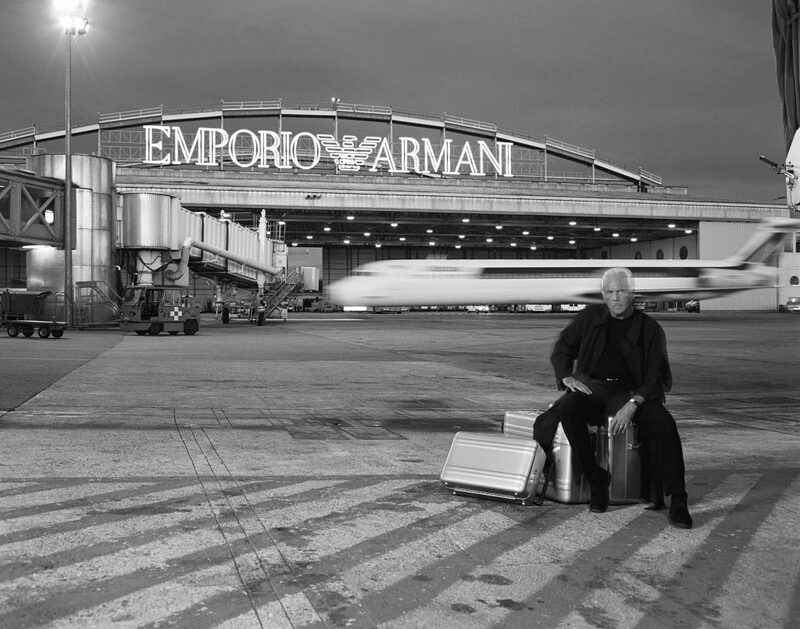 Titled “Emporio Armani Boarding”, the event will be the first of its kind, as it uses the walls of the Milano Linate’s hangar as the backdrop of Mr Armani’s fashion show. 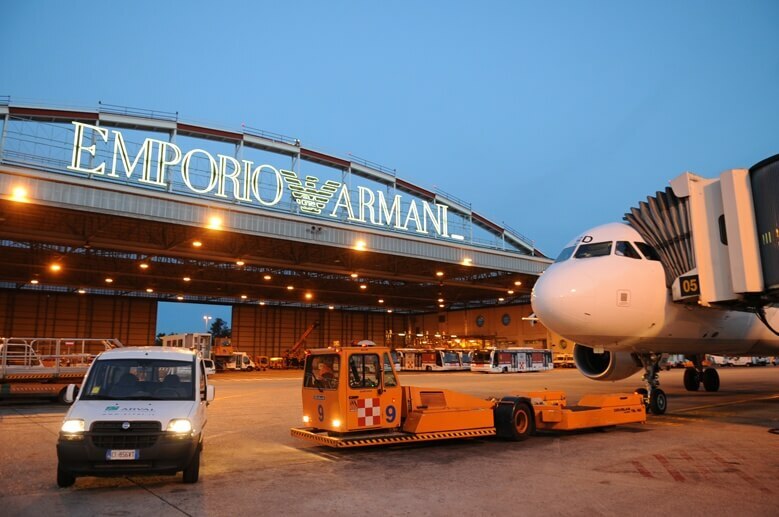 The association between Emporio Armani and the airport goes way back, as the hangar has been bearing Emporio Armani’s iconic eagle-like insignia since 1996; the very same emblem which not only greets thousands of passengers who land at the Linate airport daily, but also bids them farewell as they depart from Milan. Following this, the eagle-topped hangar will become one of the four locations that make up the brand’s “geography” since its inception. The other locations include Broletto, whose 1984 giant poster site has become part of Milan’s urban iconography; Durini, where the brand opened its first store in 1981; Bergognone, the site of the Teatro Armani, home of the brand’s fashion shows and Manzoni 31, with its large concept store and Emporio Armani Caffè. The event will be graced by a crowd of 2,300, which comprises invited guests, staff and press, as well as a number of members of the public. Members of the public may obtain tickets for the event via a contest held throughout the city of Milan. They will have to collect a series of stamps to fill up “passports” made for the contest, and only 100 randomly selected participants will be admitted to the soirée. Finally, the fashion show will culminate with the performance of an undisclosed international pop star. A special Emporio Armani Boarding capsule collection has been created specially for the occasion; expect to see sweatshirts, T-shirts and accessories amongst other pieces inspired by the event theme. The capsule will be made available for purchase on 13 September in Milan, and in other Emporio Armani flagship stores worldwide later on, as well as on armani.com. We interview Fabio Panzeri as he imagines the future of Braun Büffel through its new "Retro Future" DNA. Freedom to dress is your freedom of expression, so take the road less travelled with these offbeat looks. Philanthropy and luxury designers are two facets of fashion that do not mesh frequently, if at all, but when they do, only the nob ..
THISISIT We're laying down our top favourite 15 items from Fall/Winter'18 ..
Let earth take the lead with this series of new fragrances. A splash of the sea, rich aromas of the woods and a tad of the fruits ..
A dialogue between Christian Dior’s private life and his creative output. Titled "DNA Evolution", the Spring/Summer'19 collection revisited, modified and updated what millennials love about Dolce & Gabban ..